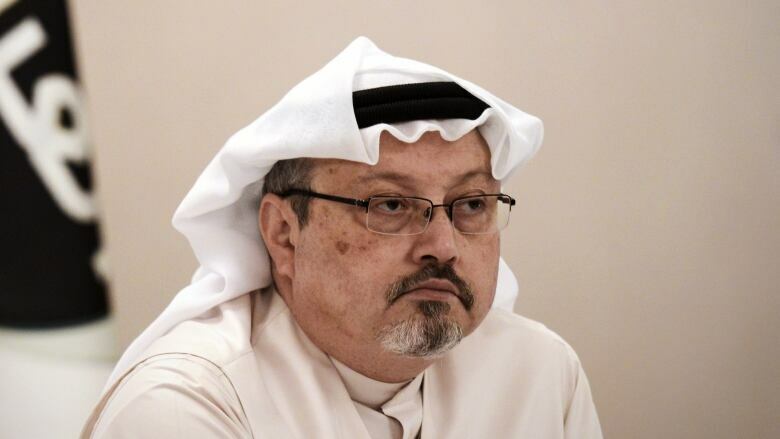 Saudi Arabia's top prosecutor said Thursday he would seek the death penalty for five men charged with the killing of journalist Jamal Khashoggi in Turkey, while the United States moved to sanction 17 Saudi officials it said were involved in the slaying. The Saudi announcement appeared aimed at distancing the killers and their operation from the kingdom's leadership, including Crown Prince Mohammed bin Salman, amid a global outcry over the writer's death. U.S. Treasury Secretary Steve Mnuchin on Thursday announced the new economic sanctions, which will target officials the Treasury Department believes were responsible for or complicit in the killing. Among those targeted by the economic sanctions are Saud al-Qahtani, who was one of the crown prince's closest aides, and Mohammed al-Otaibi, the diplomat in charge of the Saudi Consulate in Istanbul where Khashoggi was killed Oct. 2. Also named is Maher Mutreb, who was part of the crown prince's entourage on trips abroad. Canadian Foreign Minister Chrystia Freeland on Thursday welcomed U.S. sanctions and said Canada will be "actively considering" similar sanctions in coming days. Earlier in the day, and with Saudi Arabia facing mounting international pressure, Saudi prosecutors gave a rare news conference, during which they pointed the finger at some members of the crown prince's inner circle but stopped short of accusing them of ordering Khashoggi's killing. Those closest to the prince were instead accused of ordering Khashoggi's forced return in an operation that the Saudis allege went awry. Sheikh Shalan al-Shalan, the country's deputy attorney general, said the killing was ordered by an individual whom he did not identify but said was responsible for negotiating Khashoggi's return back to Saudi Arabia from Istanbul. The individual was part of a 15-man team that was made up of negotiators, intelligence officers and logistics officials. Al-Shalan said that on the morning of Oct. 2, the leader of the negotiating team saw that he would not be able to force Khashoggi to return, "so he decided to kill him in the moment." This appeared to contradict a previous Saudi statement quoting Turkish intelligence as saying the killing had been premeditated. Chief prosecutor Saud Al-Mojeb said that of the 21 people in custody, 11 have been indicted and referred to trial, and that he would seek the death penalty against five of the suspects. Khashoggi's killers set their plans in motion on Sept. 29, the prosecutor said, adding that the killers drugged and killed the writer in the consulate before dismembering the body and handing it over for disposal by an unidentified local collaborator. The body has not been found. It's not unusual for a Saudi prosecutor to announce he would seek the death penalty before a trial. 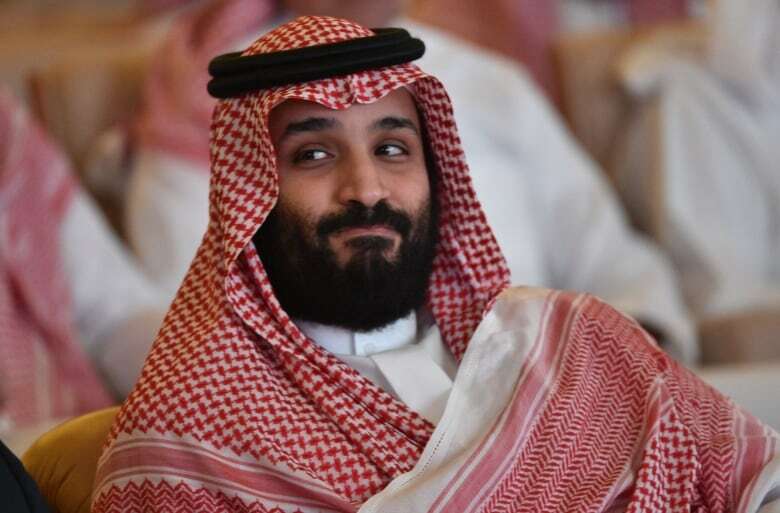 Meanwhile on Thursday, Saudi Foreign Minister Adel al-Jubeir told reporters the crown prince had "absolutely" nothing to do with the killing. "His royal highness the crown prince has nothing to do with this issue," he said. Al-Jubeir said the kingdom is investigating and holding those responsible to account "to make sure this doesn't happen again." "Sometimes mistakes happen ... sometimes people exceed their authority," he said. The latest Saudi account of what took place failed to appease officials in Turkey, however, who insist the killing and its coverup were carried out by the highest levels of government. "We did not find some of his explanations to be satisfactory," Turkish Foreign Minister Mevlut Cavusoglu said after the Saudi announcement. "Those who gave the order, the real perpetrators, need to be revealed. This process cannot be closed down in this way." Through a series of orchestrated leaks, including audio of the killing that was shared with Western intelligence, Turkey has attempted to keep pressure on the crown prince, who sees Turkey as a regional rival. Saudi Arabia said 21 people are now in custody, with 11 indicted and referred to trial. The Turkish government is demanding the suspects be investigated and put on trial in Turkey. Among the high-level officials incriminated in connection with the killing is former deputy intelligence chief Ahmed al-Assiri, who was fired in the immediate aftermath of the killing. Al-Assiri, believed to have been a close confidant of Prince Mohammed, and former royal court adviser Saud al-Qahtani are accused of planning and ordering Khashoggi's forced return to Saudi Arabia. Prosecutors say the men formed a 15-man Saudi team to carry out the operation. Saudi prosecutors said the men deemed Khashoggi a threat because of his work as a writer and he was allegedly backed by groups and countries that are hostile to Saudi Arabia. However, Saudi prosecutors stopped short of accusing al-Assiri or al-Qahtani of ordering the killing itself — further distancing the killers from the crown prince's inner circle and bolstering Saudi assertions that the killing was carried out by rogue agents who exceeded their authority. Both men were fired from their posts last month amid fallout from the killing. Khashoggi had been living in self-imposed exile abroad for nearly a year before he was killed by Saudi agents at the consulate on Oct. 2. Khashoggi had gone to the consulate in Istanbul to obtain documents for his upcoming marriage. His Turkish fiancée waited outside and first raised the alarm about his disappearance.